Standing over 40 acres in the prime residential complex Esencia from Ansal Group in Gurgaon, Mulberry Homes is one of the greenest enclaves in the National Capital Region. Named after a beautifully sculptured ornamental tree with narrow elongated green leaves found abundantly in this part of the township, Alba is abundant in greenery promising a pollution free healthy life. 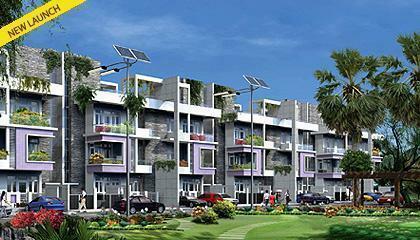 All the apartments within the Mulberry Homes are backed by recommendations from ADaRSH and will be rated under GRIHA. A choice of 3 BHK soveriegn floor homes measuring 210 sqm in three different floors is available with the ground floor unit coming with an additional basement space. Along with the abundance of green spaces like Hyde Park, Eco Grove and Tranquil Grove, Alba is also equipped with important amenities like a Creche, Nursery School and Primary school along with place allocated for a religious building. Alba in Esencia is well connected to the NH-8 and the Golf Course Extension Road with a road on its northern periphery. The planned metro corridor along with an upcoming metro station is just a stone throw away. Reputed schools like DPS, Heritage, GD Goenka, etc. plus leading hospitals including Medicity, Fortis and Apollo are all within 20 minutes driving distance. It is a 30 min drive from the IGI Airport, New Delhi.